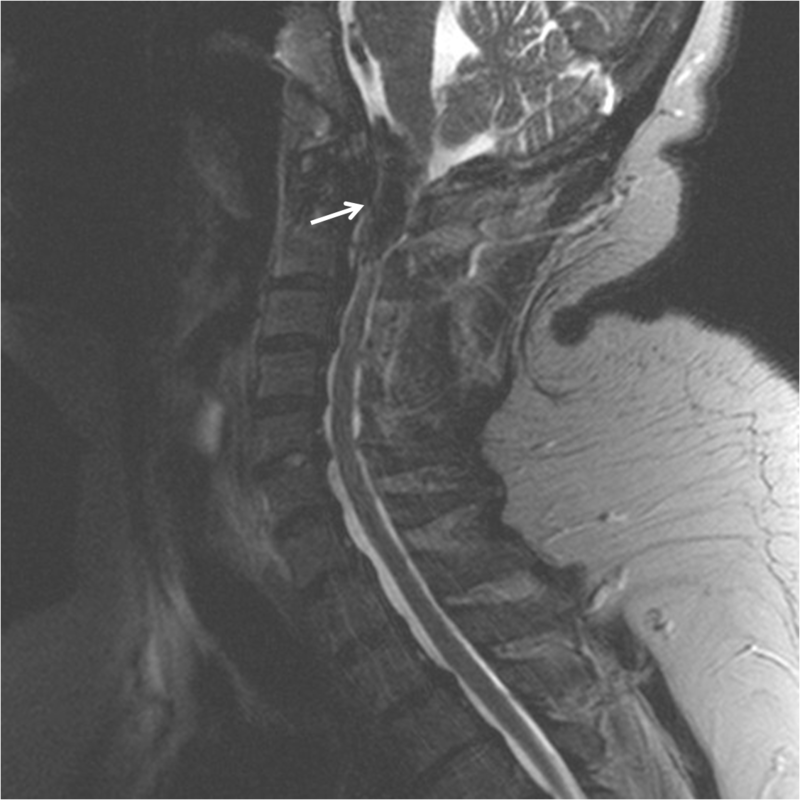 History: 60 year old female with headaches and dizziness. Sagittal T2W MR image in the same patient shows the mass is markedly T2 hypointense. 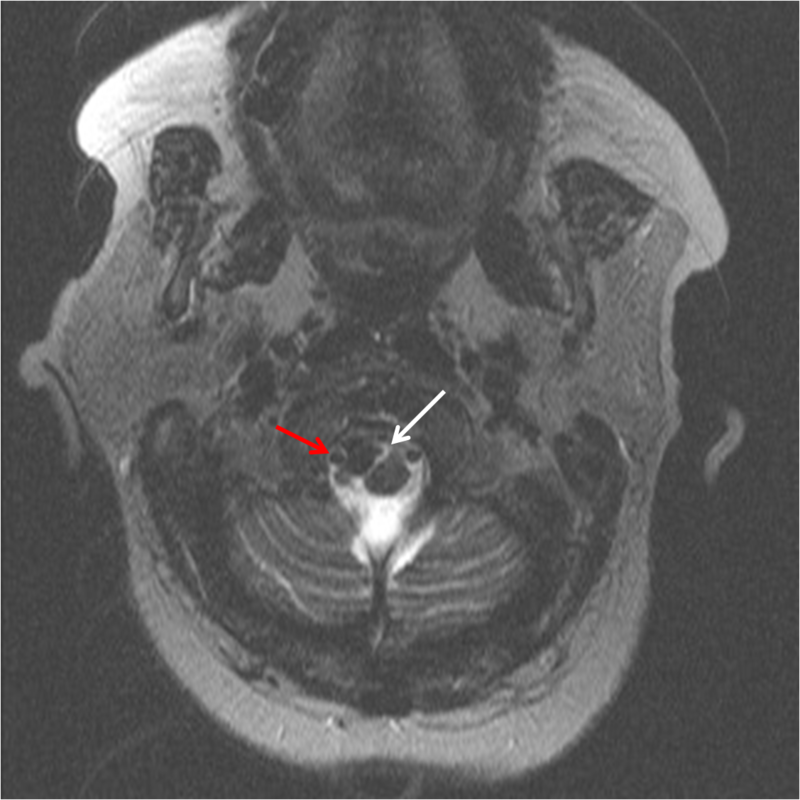 Axial T2W MR image shows the mass is encasing the right vertebral artery (red arrow) and there is a high signal CSF “cleft” (white arrow) between the mass and the cord, indicating the mass is definitively extramedullary. 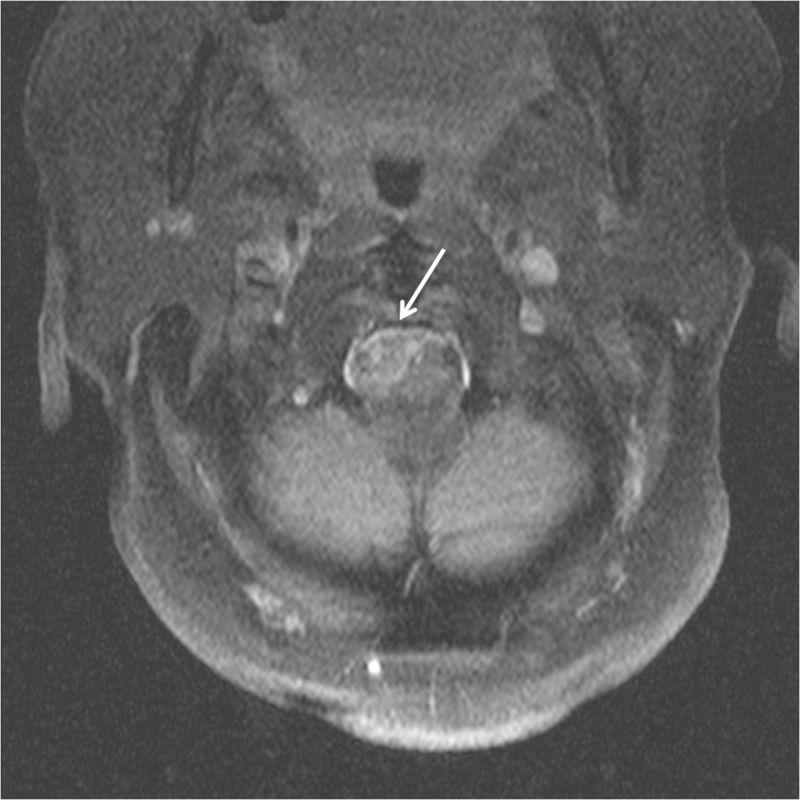 Axial T1W postcontrast image with fat saturation reveals the mass enhances avidly (arrow), and a portion of the enhancement has a broad based dural attachment. This is a case of a meningioma with all of the classic MRI findings, except for location. Meningiomas arise from the arachnoid cap cells of the meninges. They are supratentorial in 90% of the time, which is why this case isn’t entirely a classical. Meningiomas are benign neoplasms, however, they can cause real symptoms and be very dangerous, as in this case. They are typically T1 hypo to isointense (first image above), T2 hypointense (second image above), and enhance homogenously (last image above). 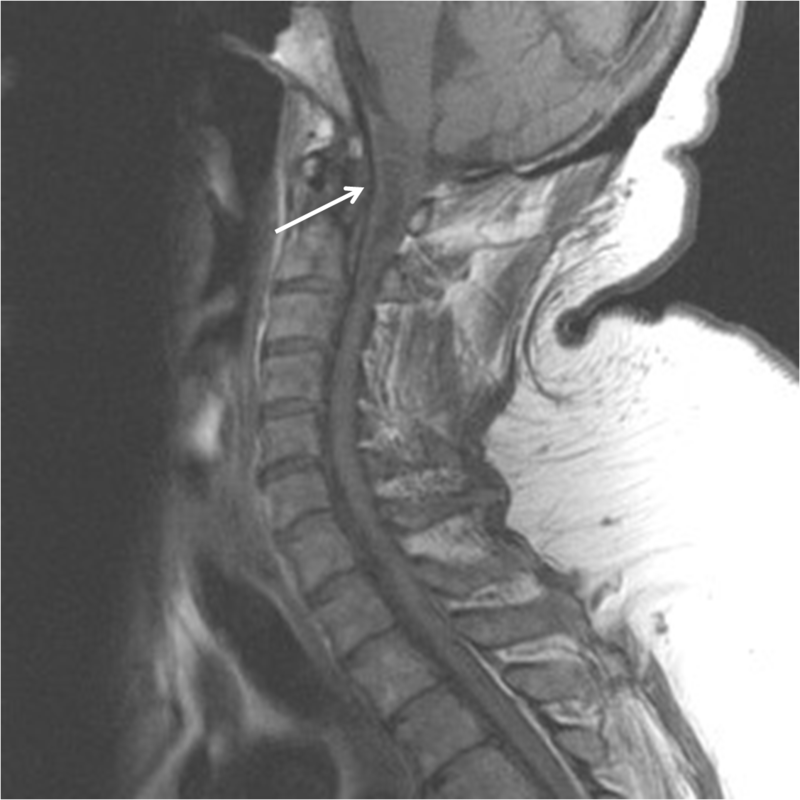 They typically have a broad based dural attachment and extension which has been described as a “dural tail,” and they also have a CSF cleft as seen in the third image above.